Over 40 athletes from 12 countries are to compete at the British Grand Prix of Race Walking on Sunday as race walking returns to York. The city hosted the world’s first amateur race walking event back in 1903, with athletes competing over a distance of 39 miles. One hundred and eleven years later and race walkers return to the city, as the cycle circuit at York Sport Village hosts an event incorporating the trials for August’s European Championships in Zurich. It is also a European Athletics Race Walking Permit meeting and rather than 39 miles the event will see senior athletes compete over 20km and juniors over 10km. From a British perspective, the first two athletes with the 20km qualifying times (83:30/92:00) in the men’s and women’s races will automatically be selected for the Europeans, while junior athletes will be aiming for IAAF World Junior Championships selection. Among the favourites for the men’s 20km title are Australia’s Dane Bird-Smith, who set a personal best of 80:27 when finishing 14th in last month’s IAAF World Race Walking Cup in China. He also finished 11th in last year’s World Championships in Moscow. He’ll be challenged by New Zealand’s Quentin Rew, who finished 17th over 50km at last year’s World Champs and has a PB of 82:16, and British No.1 Tom Bosworth, who clocked the third fastest time ever by a British athlete over 20km in April with 82:20. With two performances already inside the British qualifying time for Zurich he will just need to be one of the first two Brits over the line to secure his spot on the the British team. Bosworth’s compatriot Jamie Higgins will be looking to improve on his 86:02 personal best set in the Czech Republic in April, while Irish duo Alex Wright and Brendan Boyce will also be ones to watch, Wright having a personal best of 83:05 and placing 31st at the World Championships in Moscow representing Great Britain before switching to Ireland and Boyce finishing 25th in Moscow. The women’s 20km field is headed by Jo Atkinson (nee Jackson). Denied the chance to defend her Commonwealth title this year because of the decision to omit walks from the programme, she will have her sights set on the European Championships. The current British record holder with 90:41 set in 2010, Atkinson has clocked 93:43 this year. In the junior women’s race Ellie Dooley will be looking for a victory on home soil. 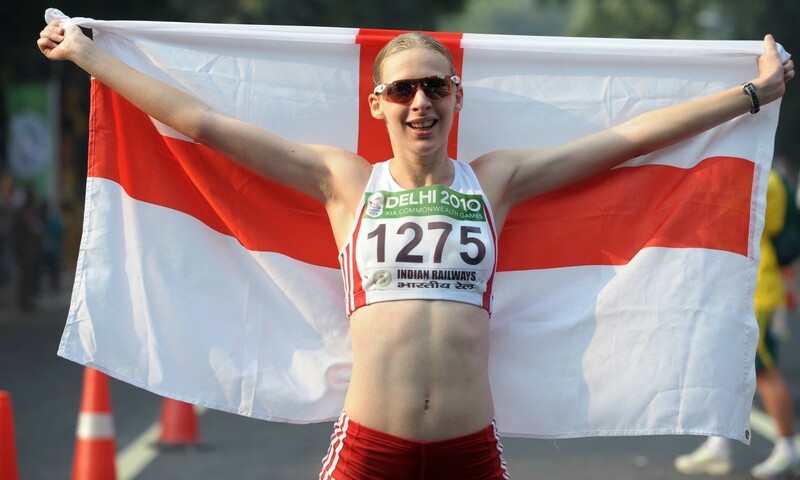 She was 27th in the World Race Walking Cup and will be keen to improve on her personal best of 49:26. She will be challenged by Emma Achurch who was 32nd behind Dooley in China. The junior men’s race will see the likes of Cameron Corbishley and Callum Wilkinson compete. The event is free to watch, with the action getting underway at 10:15 with the junior women’s 10km and senior women’s 20km, followed by the senior men’s 20km and junior men’s 10km at 10:30 and an open 3km event at 12:40.